Growing a loyal subscriber list of readers who just can’t wait to receive your next email can take a lot of time, hustle and sweat to build. And every single day, if you’re lucky, your AWeber list is constantly changing whether due to new subscribers (or unsubscribers). The mailing list is basically the backbone of your entire business, big or small. Whether if it generates sales, send visitors to your website, or provides your readers with awesome information, the mailing list is so valuable that losing it could be catastrophic. But what if one day it was all gone? What if one day your AWeber account or MailChimp account and all those valuable subscribers that you worked so hard to gain were suddenly deleted? Would you be able to bounce back and be able to re-subscribe all those readers, even it their numbers are in the thousands? Yeah, you probably can and most definitely will, but it would be some much easier and more stress-free to prevent all this from happening in the first place. Thankfully there’s a simple way to ensure that your mailing list is always backed up. Here’s a quick tutorial on how to back up your AWeber account, including all lists, contacts, and subscriber info, in just 8 easy steps. 4, Choose the email address where you would want to be notified when your backup file is done being created. 5. Then click “Create a Backup.” This could take a few minutes to be completed. 8. Then download your zip file. This backup will consist of both your messages and subscribers. And once you download the AWeber file be sure to save your backup somewhere safe like an external hard drive or a cloud service like Dropbox. Thanks you so much for stopping by and hopefully this tutorial provided you with enough info to help you export and back up both your AWeber subscriber list and messages. 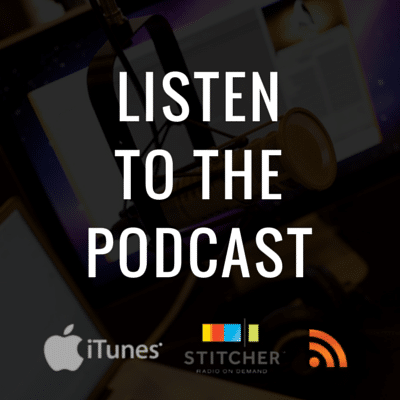 Be sure to check out the Safeguarding Your Business Podcast for more small business tips, tricks, and actionable intelligence to help you protect your small business. I read this post fully concerning the difference of most recent and earlier technologies, it’s awesome article.